Is your website success impact by slow loading pages? We look at why using PageSpeed can help you to rank higher and get better results from your digital space while improving the overall user experience for your visitors. Does it appear instantly even on slow connections or does it take a few minutes to display everything on 100mb fibre optic broadband? If the latter is true then we need to talk about your page speed. We’ve all heard the fact that most users, particularly mobile users, turn away from a website if it takes more than 3 seconds to load. 53% of mobile users exit out if it takes longer than this timeframe. With that mind, we want to show you why the speed your site loads is so important. Your website is there to sell something. Even portfolio sites are there to sell your services. It might not be as blatantly obvious on some websites what they want you to buy but it’s there. If your website is going to take 20, 30 or even 60 seconds or load up – is someone going to hang around that long? Would you hang about that long? Probably not and the chances are that you will just hit the back button and go somewhere else thinking the website is down. A slow websites means that you get fewer results, sales and conversions and can seriously impact on your success. Google likes fast loading websites and pages. 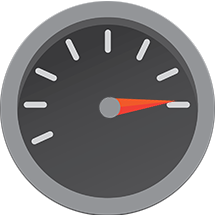 When it comes to SEO the speed that your website loads will have an impact on your rank. It might be better to say that page speed is a ranking signal however with the implementation of mobile-first indexing fast speeds matter now more than ever. A slow loading website isn’t going to rank as highly as a fast one. There are various ways in which you can speed up your site but what is the cause of a snail like loading pace for you pages? What causes a slow website? We could write 10,000 words on what can causes a website to load slowly and we still wouldn’t cover everything. Some of the most common reasons include unoptimised images (seriously, any image over 1MB needs to be reduced in size), flash content or errors with your code and also having too many ads loading at the same time. You don’t necessarily need to remove any of these from your site but you can do some things which can make everything run a lot smoother. The speed that your website loads has a big impact on how successful it is going to be. We have so much at our fingertips. If one website doesn’t load pretty much instantly then we just move onto the next. This is why you need to pay as much attention to your website speed as you do to SEO, social media and advertisements. By using Google PageSpeed Insights you can get an accurate report of how your site performs as well as information on how to fix any issues for both desktop and mobile versions of your website. Don’t ignore your loading speed because it could just be the thing that puts people off and loses vital business as a result.